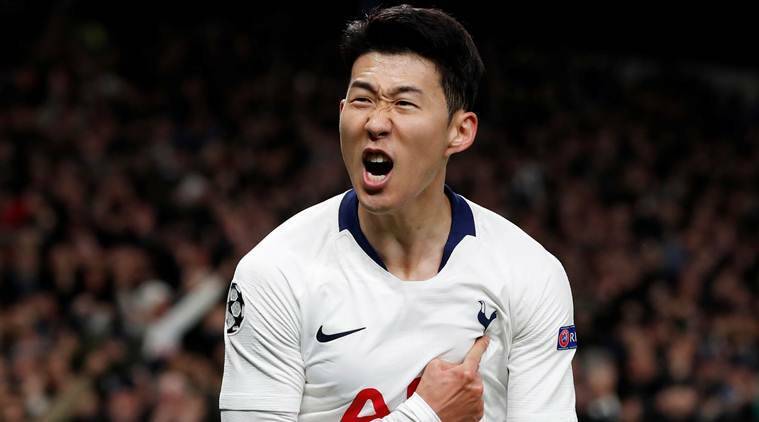 Tottenham Hotspur's elation at beating Manchester City 1-0 in their Champions League quarter-final first leg on Tuesday was somewhat overshadowed by the prospect of a potential season-ending injury for Harry Kane. Kane, who has scored 24 goals this season, rolled his ankle painfully just before the hour mark after a hefty tackle on City defender Fabian Delph. The England striker left the field immediately and looks a major doubt for next week’s second leg in Manchester. Pochettino exchanged angry words with Delph after the incident, in which the City player appeared to stand on Kane’s ankle as the pair tussled for the ball. City have also not won a European tie on aggregate after an away first-leg loss since beating Gornik Zabrze in the 1970/71 European Cup Winners’ Cup quarter-finals. On that occasion they needed a replay, after each side won 2-0 at home, as they went through 3-1 in the third game. Manchester City coach Pep Guardiola remained unruffled despite his side’s surprise 1-0 defeat by Tottenham Hotspur in their Champions League quarter-final, first leg tie on Tuesday. City had lost only once in their past 23 matches in all competitions, a run that had seen them lift the League Cup, reach the FA Cup final and trade top spot in the Premier League with Liverpool in a thrilling title race. They controlled large periods of the game against Tottenham, but looked vulnerable to the counter-attack and their usual slick passing occasionally seemed laboured. The quadruple remains possible but City will have to keep alive their European hopes the hard way — having not overturned a tie in which they have lost an away first leg since 1971. They lost 3-0 at Liverpool in the first leg of last season’s quarter-final so City’s task is less daunting this time. City’s cause was not helped by Sergio Aguero’s first-half penalty miss after Danny Rose was harshly adjudged by VAR to have used his arm to block Raheem Sterling’s shot. City also laboured somewhat to beat Brighton & Hove Albion in the FA Cup semi-final at Wembley on Saturday, but Guardiola was not about to start criticising his team. “When we don’t play well I say it, but I don’t have that feeling,” said the Spaniard. “They’re a team who press a lot but they couldn’t do that — especially in the second half, when we arrived many times in the final third.